Generic birth-control pills: $4 or $10? Or $9? Or $50? The marketplace for birth-control pills is pretty interesting, and it seems to change by the day. 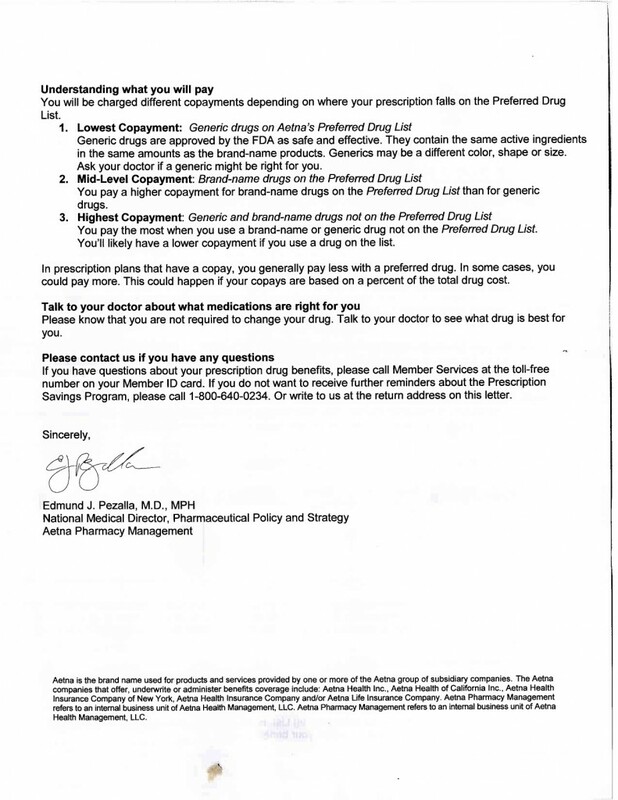 A woman we know who takes Ortho Tricyclen Lo got this letter not long ago from her insurance company, encouraging her to stop taking the brand-name pill (for which she has a $50-a-month copay) and to instead start taking one of three generics — Tri-Sprintec, Trinessa or Tri-Previfem, for which she would have a $10-a-month copay. that she’d save $40 a month, for a total annual savings of $480 a year, if she’d switch. What they didn’t mention is that if she was on a generic plan with, say, Target, she could pay $4 a month for Trinessa (or $10 for 90 days), not $10 per month — plus whatever her insurance premium turns out to be as a monthly charge. It’s interesting that the insurance company charges $10 (plus premium) though Target and its big-box competitors with similar plans regard the $4 monthly generic prescription price as a good play competitively. (Wal-Mart, Costco and some chain grocery stores also have similar plans). You can use these plans without insurance, or you can choose this even if you do have insurance; you just need a prescription. About 75-80 percent of all prescriptions filled in the United States are generics, so that’s a big market. We’re not an expert in these medications. 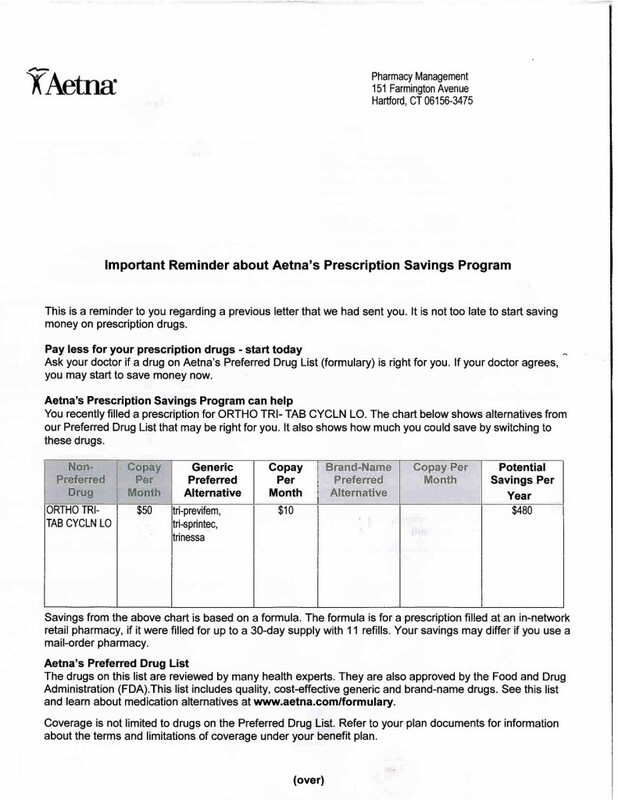 We do note with interest that the formulations seem to change a lot — and by just a bit — so a pill can be brand-name this month, and generic next month. Or that people tend to use whatever works for them, whether it’ s generic or a brand-name drug. It can be hard to figure out how much birth-control pills cost. When we were doing our survey, we found prices for Ortho Tricyclen Lo ranged from $92 to $110 without insurance. Trinessa–not, strictly speaking, a generic of Ortho Tricyclen Lo because the formulation is different–seemed to be one of the most common prescriptions used. On our PriceofBC map, we collected prices ranging from $9 to $50. If it does the work at $4, we can see why these programs are popular. How much did you pay? Contribute your pricing info to our PriceofBC map — then tweet us on out to your friends. We’re collecting prices, and you can play at home!